If you are looking for a great Ferndale carpet installer, we have some good news. The Carpet Guys provide the best carpet installation you can get in Metro Detroit. Our carpet installers in Ferndale are the best, and cant wait to go to work for you. 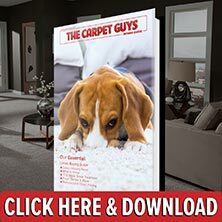 Let The Carpet Guys take away the stress and anxiety of buying new carpet off of your shoulders. With over thirty years of experience backing us up, we can provide superior carpet installation for all of our customers. Free In-home estimates and installation appointments are made available to you any day of the week; even available in the evenings. We offer fair and affordable carpet prices on high quality brand name carpet. For the flooring products we have in stock, next day installation is a possibility. For those customers who are interested, we offer complimentary decorating advice to match the newly installed carpeting. The carpet installation we provide is that of a professional and our the workmanship of our installers is second to none. On the selected installation date, our installers will come to your home and start by moving the furniture out of the selected room(s) free of charge. After each room has been cleared of all obstructions, the old existing carpet is removed. It is neatly bundled up and placed outside to await garbage pick up. After the old carpet material as been removed, the floor is prepped and the carpet padding is laid out. The new carpeting is rolled out on top and installed. After the carpet installation job is completed and the remnants have been taken out, the furniture can be placed back into the original placement upon customer request. If you are looking for a free carpet estimate find it with The Carpet Guys. We are ready to serve you.